We were all young once, and can attest that young people make mistakes all the time. However, when those mistakes result in criminal charges and/or convictions, it can have serious life long repercussions. If your child has been charged with a crime, it is important to seek the advice from an attorney familiar with Rogers County Juvenile Crimes Defense. Being a parent is hard. Parenting teenagers and young adults is especially challenging these days. When your child gets into trouble, it is often difficult to know how to proceed. The goals of the juvenile justice system, at least in theory, are somewhat different than that of the adult system: for children, the primary goal is supposed to be rehabilitation to get them on the right track, not harsh punishment. 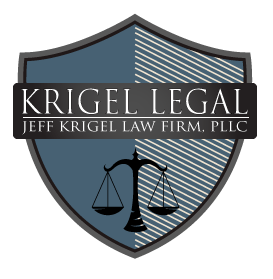 We understand that a juvenile criminal conviction can have lasting repercussions and will fight aggressively to give young people in the Rogers County area and across Oklahoma a fighting chance at keeping their criminal records clean. The first thing to know regarding Rogers County Juvenile Crimes Defense: The police CANNOT speak to your child without your consent, so make sure you don’t give consent. Call an attorney immediately. Don’t compound your child’s mistake by making one of your own.